Tom is the established Chair in Physical Oceanography. He is an observational oceanographer with a strong research interest in turbulence and mixing in the marine environment. His work has involved the development of new technqiues for the measurement of aquatic turbulence, and the use of turbulence measurements to identify, unravel and quantify key physical processes which drive mixing in the ocean. 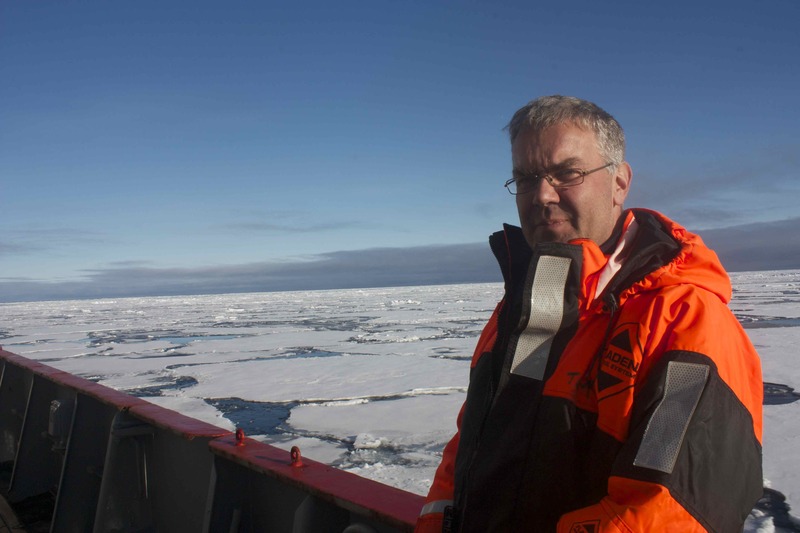 His current research focuses on the impact of mixing by the tide and wind on melting Arctic sea ice and the processes determining the surface mixed layer depth in the ocean. Tom is a Fellow of the Royal Meteorological Society and a Senior Fellow of the Higher Education Academy. Tom's research is primarily funded by NERC, from whom he has received £2.36 million as PI and £3.1 million as a co-I. In addition to a numebr of standard grants, Tom has also been a member of the ASBO, TEACOSI, OSMOSIS, FASTNET and CANDYFLOS consortia. He has also received research funding from the EU, Leverhulme Trust and EPSRC. NERC funded NE/R01275x/1 "Primary Productivity driven by escalating nutrient fluxes". PI: Yueng-Djern Lenn. Project partners Alfred Wagner Institute, NOC Liverpool and Strathclyde University. KESS funded PhD studentship: Natasha Lucas. Vertical Exchange: its forcing, mechanisms and impacts. 2004-5: NE/C513318/1: Coastal Observatory: Second in situ site – resolving the property gradient. PI: MJ Howarth (Proudman Oceanographic Laboratory), co-Is T Rippeth and others. Total Funds: £232,000. 2002-5: EU Framework V: Mabene consortium. To study the flow over mussel beds and mussel feeding rates. Bangor PIs: Prof John Simpson and Dr Tom Rippeth. Bangor funds: £164,000. 2006-2009: NE/E522716: Applied Physical Oceanography (MTG). PI: T Rippeth. Funds: £150,470. 2009-2011: NE/H525397: MSc Applied Physical Oceanography (MTG): PI: T Rippeth. Funds: £105,202. 2007-9: NERC Arctic IPY call: Arctic Synoptic Basin wide Oceanography Consortium. Total: £1.7M. Lead institution: University College London. Bangor PI: Dr Tom Rippeth. Total Bangor funds requested: £144,932 (direct cost model). A further £53,000 was subsequently awarded to Bangor to participate in a second Arctic cruise. 2006-9: NE/D0011566/1 NERC Standard Grant: The fate of freshwater in tidally stirred shelf seas. PI: Dr Tom Rippeth (Bangor). co-I: Dr Alex Souza & MJ Howarth (Proudman Oceanographic Labs, Liverpool University). Total: £313,950. Bangor funds: £213,367. 2008-11: NE/F002858/1 NERC Standard Grant: A wind driven nutrient pump. PI: TP Rippeth. Co-I J Sharples (Proudman Oceanographic Labs). Total Funds: £700,097. Bangor total: £430,547. 2009-11: NE/F019467/1 NERC Standard Grant: A New Method for the Estimation of Profiles of Diffusivity in the stratified Marine Environment.PI: TP Rippeth. Co-Is P Wiles and JH Simspon. Total: £203,028. 2009-10: NE/ G010986/1 NERC Small Grant: Diapcynal transfer of carbon, nitrogen and phosphorus across the seasonal thermocline in stratified shelf seas. PI: H Kennedy. Co-Is; Prof DN Thomas and TP Rippeth. Total: £64,393. 2008-10: F/00174/L Leverhulme Trust Grant: Visualization of time-varying volume data based on topological hierarchy. PI: I Soo Lim. Co-Is: N John (Bangor - Computing), K Hughes (Bangor - Chemistry) and TP Rippeth. Total: £66,000. 2011-2014. NE/1019794/1 OSMOSIS: Ocean Surface Mixing, Ocean Sub-mesoscale Interaction Study (NERC Consortium). PI: Prof Stephen Belcher (Reading University). Partners: Southampton Uni, Reading Uni, Oxford Uni, Bangor Uni, UEA, SAMS, NOC, Met Office. Bangor PI: T Rippeth with M Green. £3.6M grant. Total Bangor: £351,031. 2011-2015. FASTNEt: Fluxes Across Sloping Topography of the North East Atlantic (NERC Consortium). PI Mark Inall (SAMS). Partners: NOC, Plymouth Marine Laboratory, Liverpool and Plymouth Universities. Bangor PI: Mattias Green, co-Is: T Rippeth and JH Simpson. £3.5M Grant. Total Bangor: £419,734. 2012 - 2016. F003861 NERC Consortium Grant: Carbon and nutrient dynamics and fluxes over shelf systems. Lead: Prof J Sharples (Liverpool University). Bangor PI: S Wilson. co-I: TP Rippeth. £3.5M grant. Bangor share: £64,753. 2014-2017. NE/R01275X/1 Standard Grant: Pcynocline mixing in shelf seas. Lead Jeff Polton (NOC Liverpool). Bangor PI. T Rippeth. I teach physical oceanography and meterology across a range of modules at undergraduate and MSc level. I have also supervised numerious MSc porjects. Completed (Lead): Jingnan Li (2017), John Siddorn (2015), Ben Lincoln (2012), Eleanor Howlett (2010). Completed (co): Jess Mead Silvester (2017), Charlotte Williams (2014), Holly Pelling (2013), Phil Wiles (2008), Matthew Palmer (2008), Neil Fisher (2004).